CTO Catawba River Basin is a youth hunting and fishing club for boys and young men age 7-20. We are "Guiding the next generation to Christ through the outdoors." Go with us on real hunting and fishing trips and other exciting outings - including the coolest Summer Camps in the world! Cross Trail Outfitters is a really cool Christian group that you can plug into. We also meet regularly for bible studies. We will be heading for the foothills for a weekend of turkey hunting and camping. Contact Jason for details 704-913-8413. We will be hooking up with Huffy's Guide Service for a fun day of fishing on Lake Norman or Lake Hickory, whichever has the strongest report. Space is very limited so sign up asap. Contact Jason for details 704-913-8413. We will be meeting in the gym at Ranlo Church of God to begin setting up for our 3rd annual banquet. We really need all hands on deck to help get all this work done as quick and easy as possible. We will have plenty of food so come hungry and lets knock this project out. Doors will open at 4:30 for the Expo with the banquet to follow at 6 pm. Banquet tickets are $15 each, which includes expo, meal, door prizes and raffles. Use the register button to purchase tickets, sponsorships or vendor packages. Vendors and sponsorship packages available. See Below. 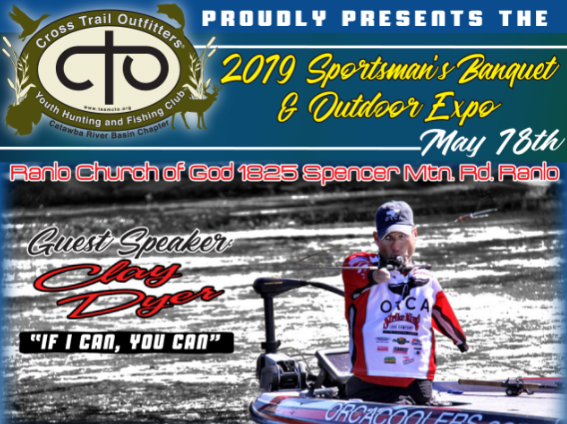 This year's guest speaker at the banquet is professional angler Clay Dyer. Clay was born on May 23, 1978, without any lower limbs, no arm on the left side and a partial arm on the right. However, these limitations did not dampen his determination and positive spirit. Clay began fishing at age 5. A natural competitiveness became evident early. Clay never allowed his physical disabilities to be an obstacle and began competing in fishing tournaments at age 15. He became a professional angler in 1995 and fished in the “major leagues” on the FLW Tour for 4 years. 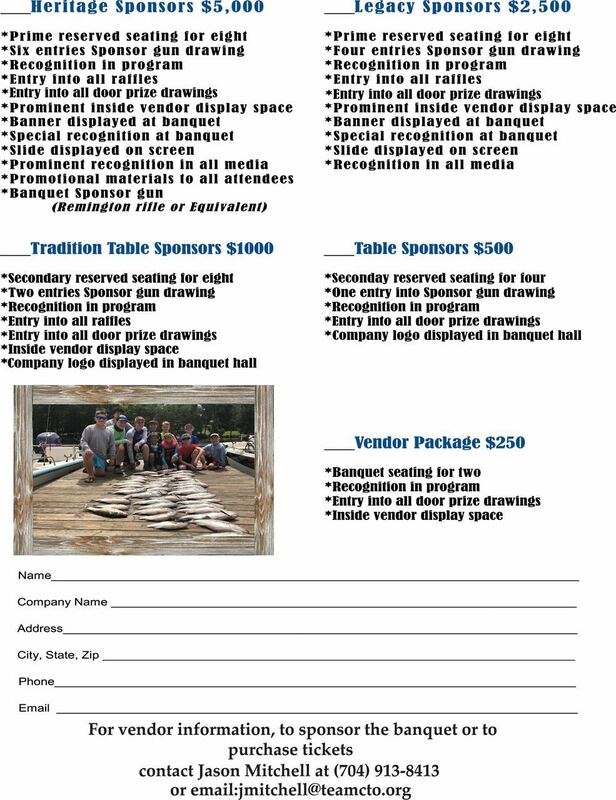 Join CTO Foothills and Catawba River Basin for the 3rd Annual Carp Master Classic. We will fish for the biggest carp, have a devotion time , and grill hotdogs. Bring a chair and pop-up tent if you have one. Carp fishing rods and bait will be available on site. You are welcome to bring your own fishing gear.